The sauce is excellent! It complimented the bland tofu very well. The plus point is that it is so simple to prepare this dish yet it is surprisingly so tasty. I should have made more! I am definitely cooking this again for simple every day meals. 1. 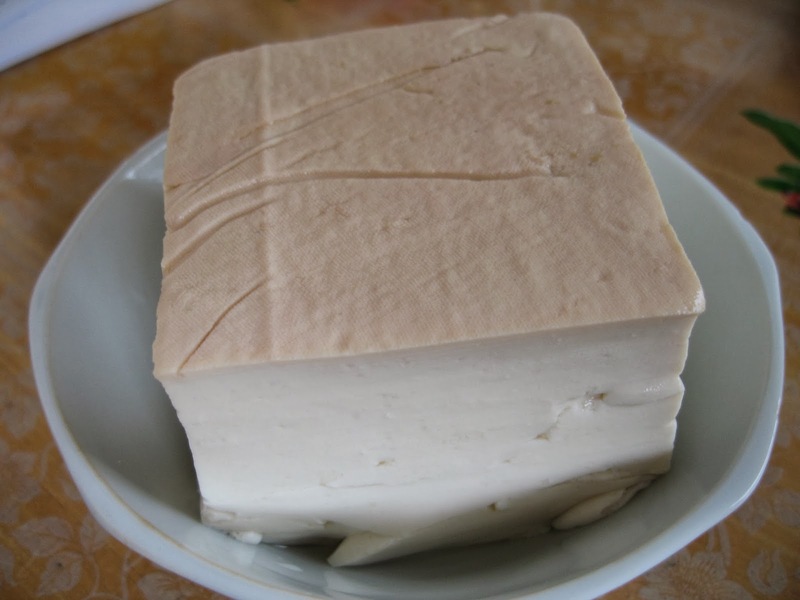 Slice soft tofu into smaller rectangles, about 1 cm thick. Use paper towels to absorb the moisture from the tofu pieces. 2. Heat wok until hot and add cooking oil. 3. 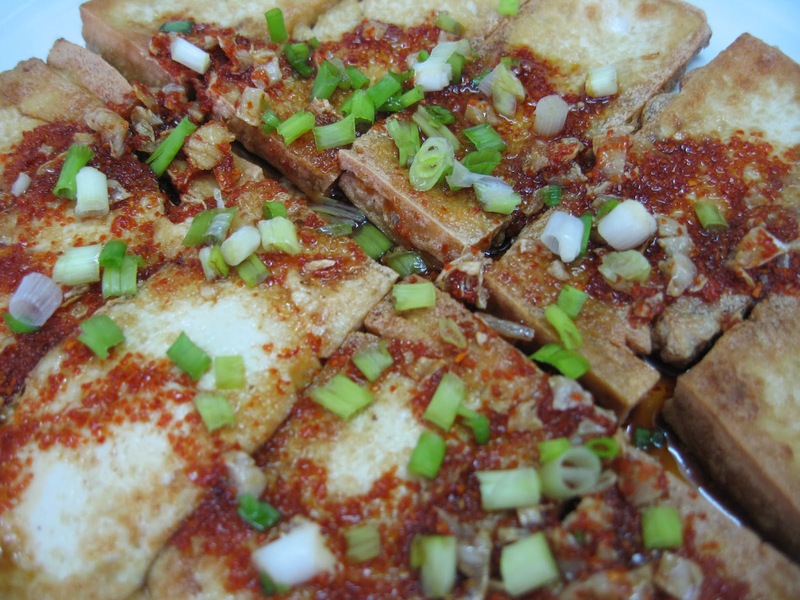 Fry the tofu pieces on both sides until golden brown. 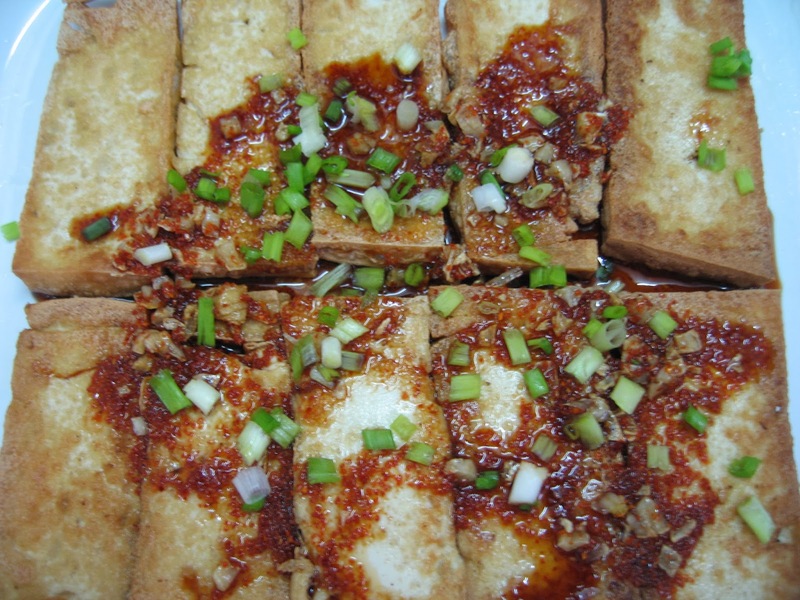 Remove the tofu pieces onto a serving dish. 4. Mix all the sauce ingredients together. Mix evenly. 5. Pour the sauce ingredients over the fried tofu pieces. 6. Sprinkle chopped spring onion and toasted sesame seeds on top.